There aren't many women playing in the purple section of the Amazon room, but best-selling mystery novelist Jane Stanton Hitchcock is one of them, and she's off to a strong start. On a completed board of with about 8,000 chips already in the middle, Hitchcock was on the button and heads up with the player in the hijack, who checked. She bet 5,000, sending her opponent into the tank. Ultimately, he called, and Hitchcock tabled for the rivered nut straight to take the pot. 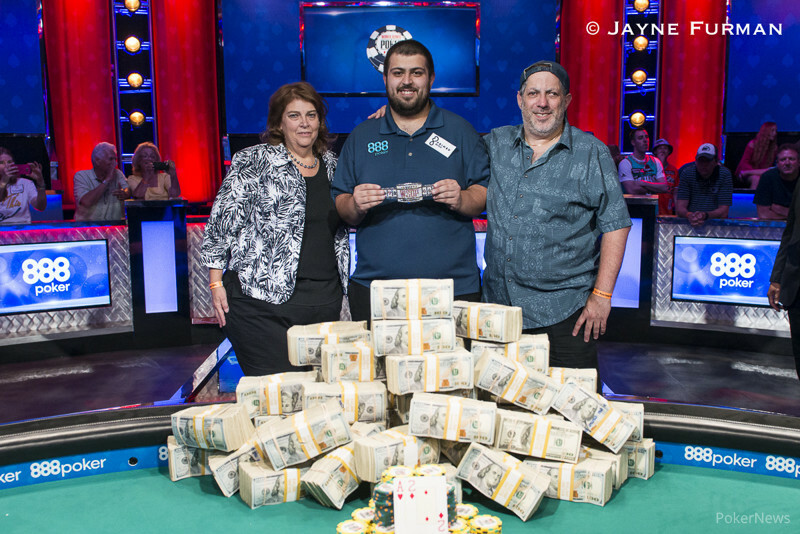 Hand #175: Pollak Triples Up! Seven Players Return to the 2017 WSOP Main Event Final Table at 5:30 p.m.